What if a stranger approached you and told you a secret about your wife that obliterated everything you thought you knew about her and your marriage? What would you do next? This is the dilemma at the center of The Stranger. Adam Price is a good man. He spends his days trying to help people in legal trouble. Although he and his wife, Corinne, have had their difficulties, he loves her. He believes they have a successful marriage. One day a stranger approaches Adam and with a "kind smile, the smile of a healer," tells Adam that his wife has kept a secret from him. The stranger observes that if his wife has lied once, Adam can't believe her about anything. After some investigation of the stranger's allegations, Adam decides to confront his wife. She promises to tell him everything. Then, she disappears. As Adam tries to find his wife, what he learns about the strangers and their mission puts his life in jeopardy. As always, Coben delivers a fast-paced, engrossing story with likeable main characters. Two flaws mar the otherwise enjoyable story. First, the stranger's motives are never fully delineated. In fact, Coben's villains in this novel are not as believable as the protagonists. Second, the ending feels contrived. It is almost as if the intrigue of the story line wore thin and Coben found it hard to pull all the threads together in an organic way. While these flaws might ruin another novel, they can't take away from the overall fun and excitement Coben brings to this thriller. 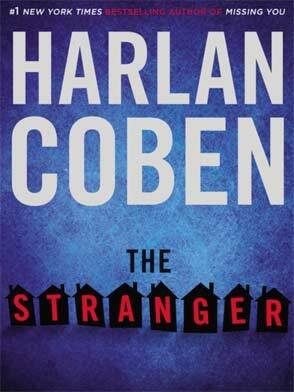 The Stranger is a great summer read - perfect for a long airline flight or a beautiful day at the beach. 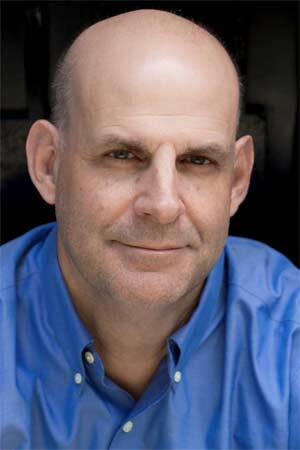 Harlan Coben is an internationally bestselling author of more than twenty previous novels, including the #1 New York Times bestsellers Missing You, Six Years, Stay Close, Live Wire, Caught, Long Lost, and Hold Tight as well as the Myron Bolitar series and, more recently, a series aimed at young adults, featuring Myron's nephew, Mickey Bolitar. The winner of the Edgar, Shamus, and Anthony Awards, he lives in New Jersey.